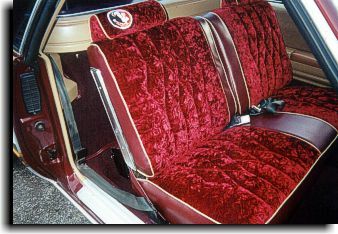 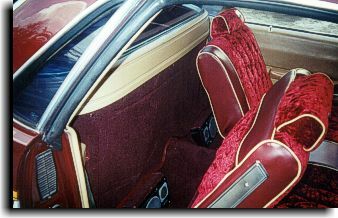 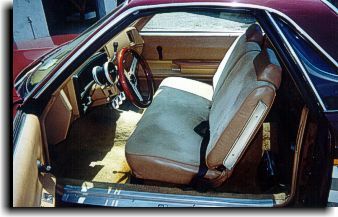 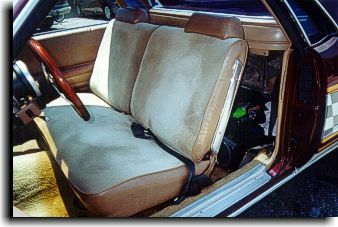 The owner of this nice 1978 El Camino wanted something different for his upholstery with a logo for his favorite college football team - the Florida State Seminoles. 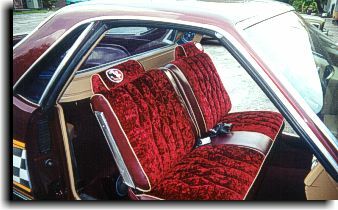 A nice red crush velour was chosen for the face with symmetrically placed diamonds sewn into the velour. 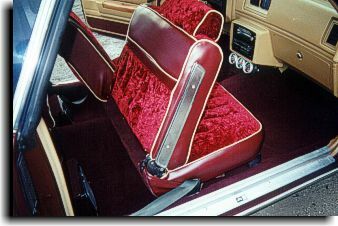 A nice Mellowhide soft side vinyl was used for the trim with a offset colored bead. 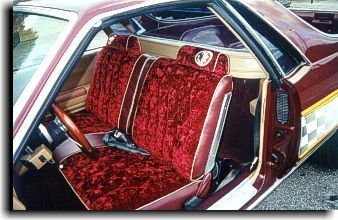 The Seminole logo was incorporated into the headrest. 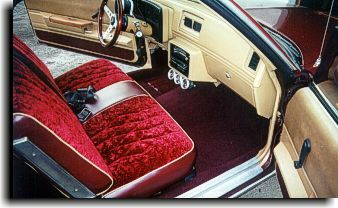 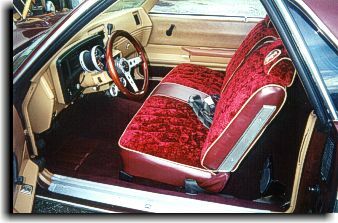 A maroon form fitted cut-pile carpet made this a real rich looking interior.